Daryl Johnson (Worcester Park, United Kingdom) on 22 December 2011 in Architecture. 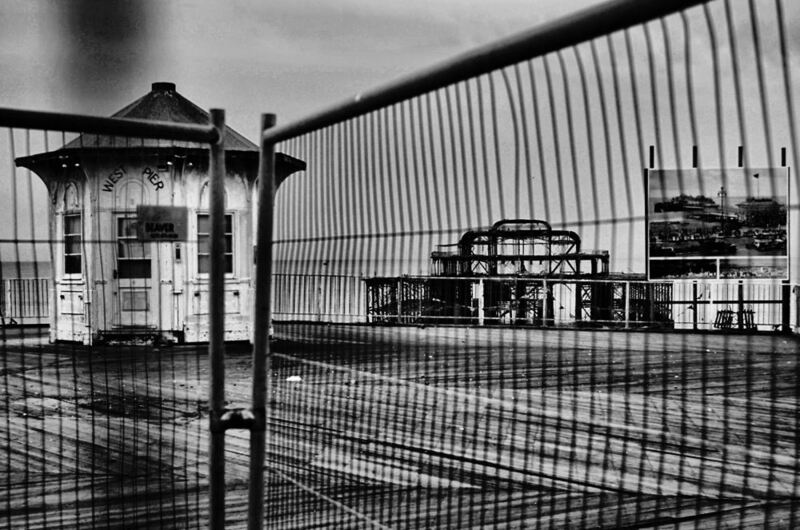 Another view of the derelict West Pier in Brighton featured last week, from behind the railings and 'keep out' signs. I was trying to get a sense of the perspective of what it would have used to look like. . . .well, it has sure seen better times. Folks say the same about me, come to think of it ! Yes, it must've been quite a place in its heyday. @Steve Rice: I'm sure it was Steve.